As a top internist and primary care specialist in New York City, Dr. Rahman helps patients manage their medication needs, offering new prescriptions and prescription refills based on each patient's individual medical needs, overall health and other factors for optimal outcomes. 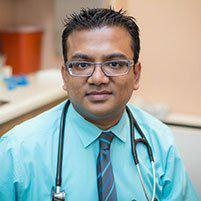 How can Dr. Rahman help me with my prescription needs? Today's medications can help men and women manage a wide array of both acute and chronic (ongoing) medical needs, from illnesses and infections to long-term conditions like high-blood pressure, diabetes, high cholesterol and more. Getting the best prescription means having a comprehensive exam and evaluation as well as an in-depth medical history that includes an other medications you ma be taking, including over-the-counter medicines, vitamins and supplements. Plus, prescriptions for chronic conditions require ongoing management to ensure the doses and the medicines themselves are appropriate for your medical condition and your overall health and wellness. How can I tell what type of medication is best for me? Many medications for specific conditions have different side effects, dosing requirements and regimens and other prescribing requirements that can have a big impact on your health and your lifestyle. Selecting the best option when several medications are available requires an understanding of your medical issues as well as dosing preferences, as well as an in-depth knowledge of the effects of medications to ensure any medicine you do take is optimized for the best possible results. Having an office visit so you can be evaluated and learn about medication options is the best way to be certain any medicine you're taking is right for you. Plus, it provides you with an opportunity to ask questions or discuss any concerns you ma have regarding medication. I take vitamins and herbal supplements as well as prescriptions; is that dangerous? It can be. Many people believe a vitamin or supplement is “safe” because it's “natural.” But many supplements including herbal supplements can cause dangerous interactions with prescription medications, resulting in serious and sometimes life-threatening events. That's why when you come in for an appointment, it's very important to reveal anything you're taking to avoid potentially serious side effects.